Ask Jean Tuesday: New Credit Card, New Credit Score? 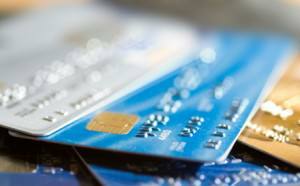 You’re right – closing a credit card will typically impact your credit score in a negative way. That’s because your credit score is partially based on something called your utilization ratio – which has to do with how much credit you have available to you, and how much of it you’re using at any point in time. This accounts for about a third of your credit score – so it’s an important thing to consider when looking at your accounts. What you need to be concerned about here is how – or if – your credit line will be affected in the switch. According to Adam Levin of Credit.com, “If the credit line of the new card is greater than or equal to the one offered by your old card, you’re fine.” Why is that? It all goes back to that utilization ratio. If your credit limit stays the same, you’ll still be using the same amount of credit – or, if the line gets larger, you’ll use a smaller percentage of it. In that case, you won’t see a shift in your score (in fact, if they’ve raised your credit limit as part of this change, you may see your score go up slightly). So what you need to do is make sure the switch doesn’t change your credit line. In this case, it shouldn’t – but it’s a good idea to check. Ask Jean: How is My Credit Score?